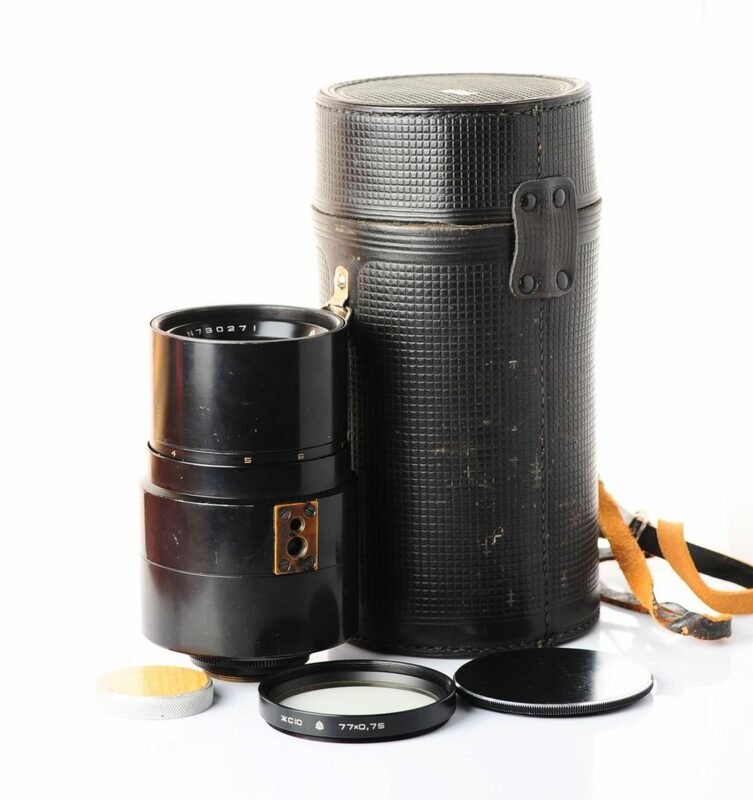 Originally produced for Zenit SLR, can also be used on Fujica, Pentax, Practica. 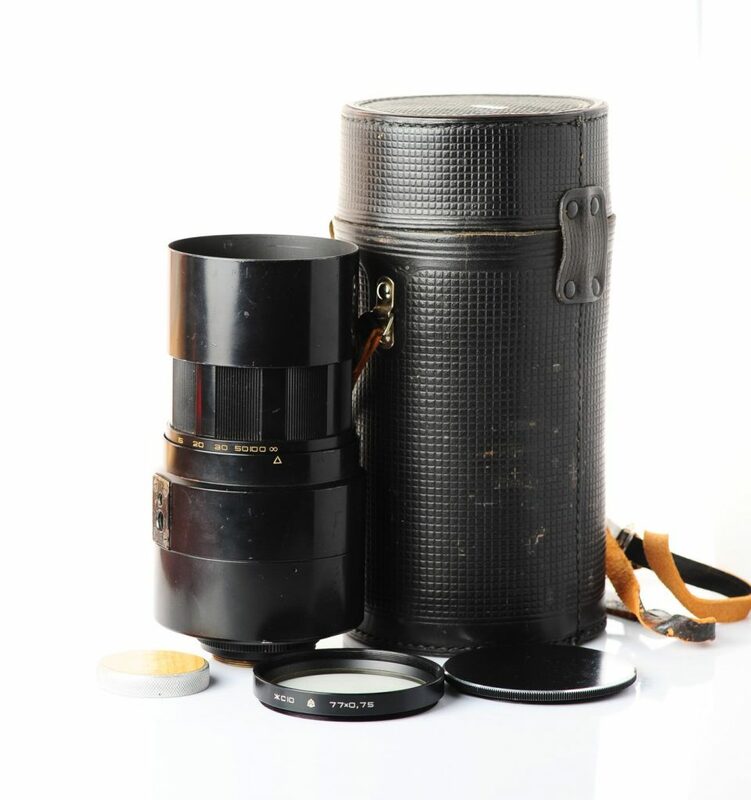 Great for photo & video on DSLR, can be used on pretty much any modern camera system – Nikon/Canon, mirrorless systems: Sony NEX, Olympus Pen, Panasonic G, Canon EOS M, Nikon 1, FujiFilm X-mount etc. 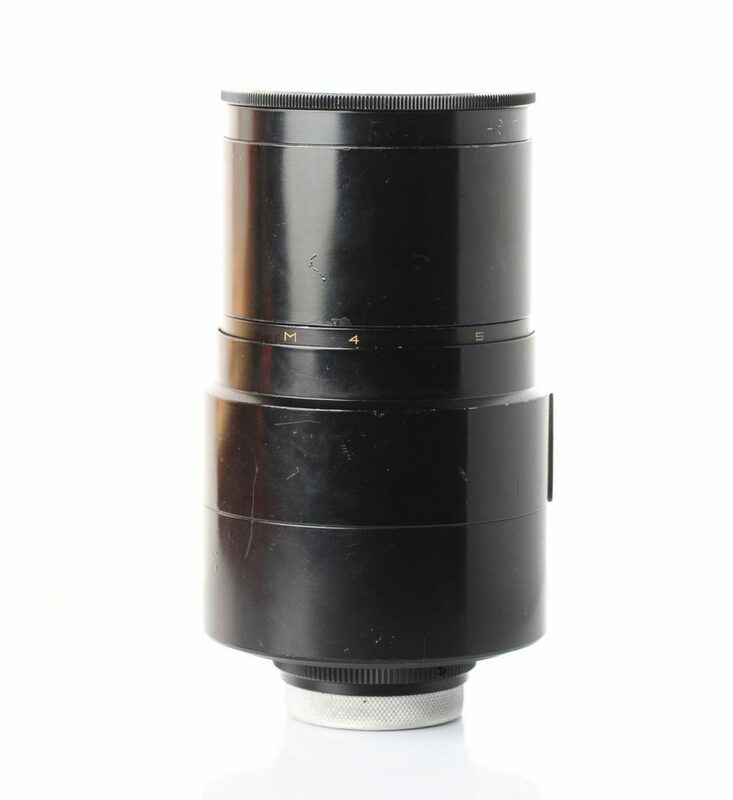 “A” series of lenses have replaceable tail end – m42 mount tail can be replaced with Nikon F tail, with focusing to infinity and resolution retained. 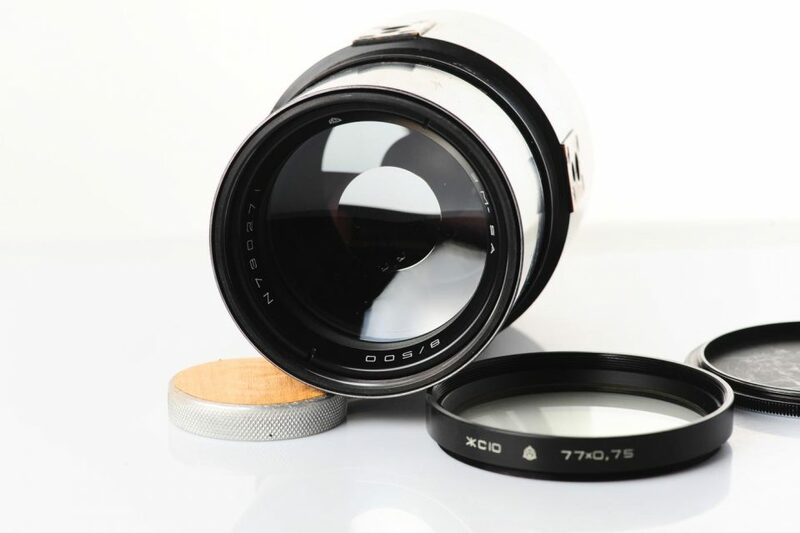 *Note: This lens comes with m42 tail, Nikon tail available here. 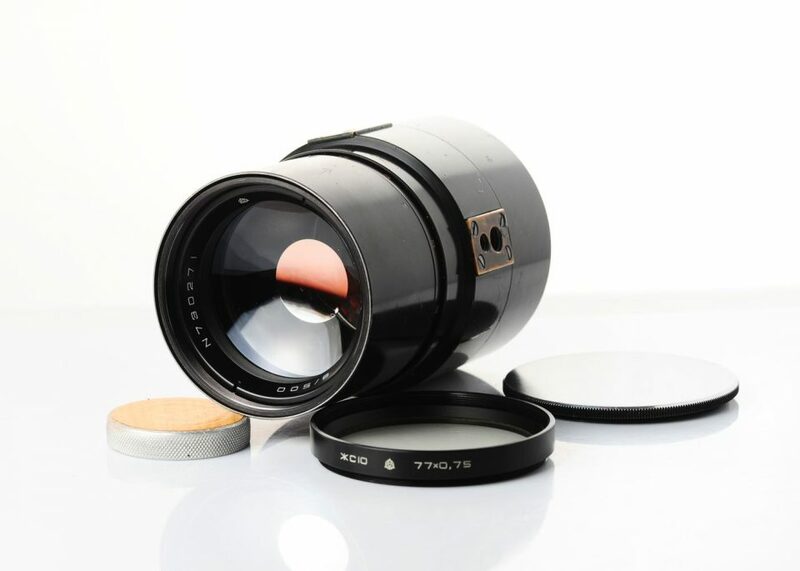 3M-5A-MC 500mm f/8 is mirror-meniscus lens with multilayer-coated achromatic. Option “CA” characterized by reduced size and weight. The ZM-5A is a classic sample of Soviet-era engineering and workmanship. 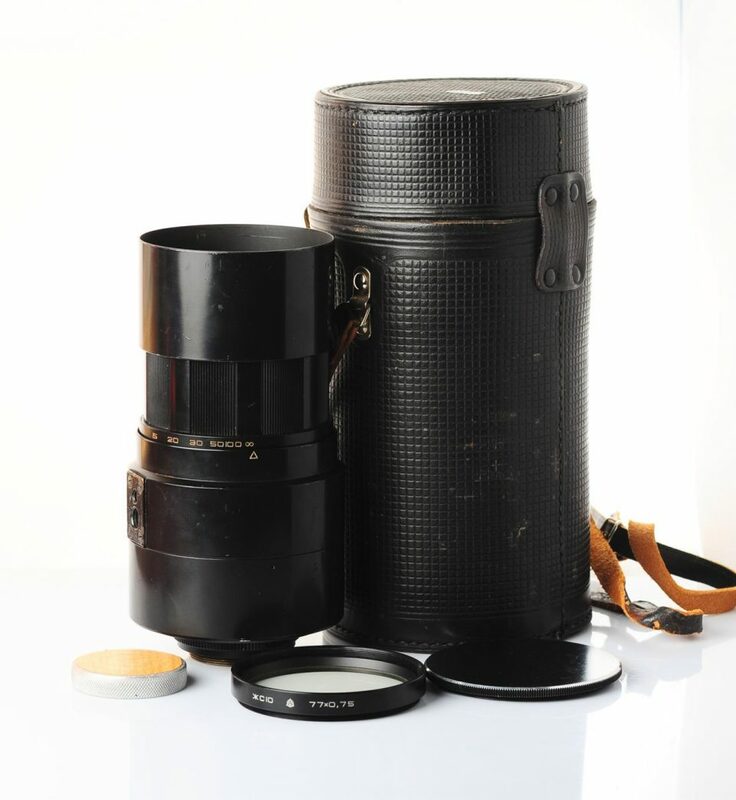 It is a 500 mm telephoto mirror lens based on the design of a known Soviet engineer Maksutov. 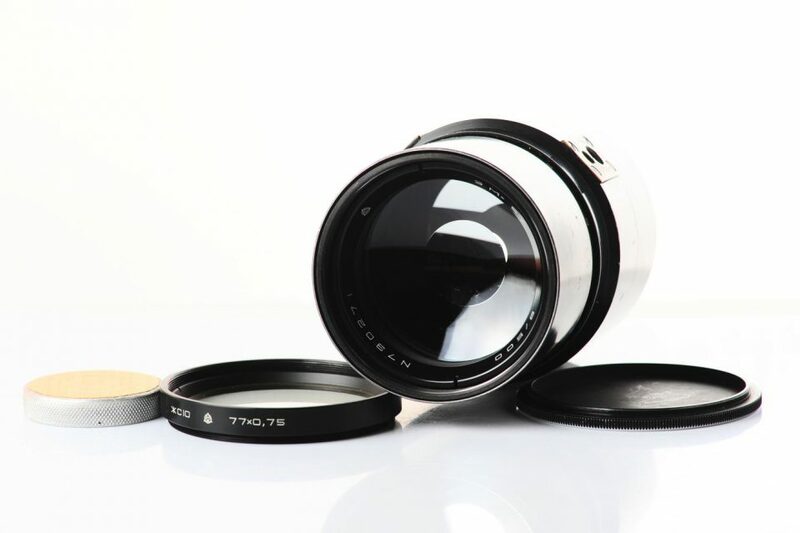 We have built a lens hood, which hides the focus ring. As you can see has 4 holes for the tripod, arranged in pairs of different diameters under 90 degrees. 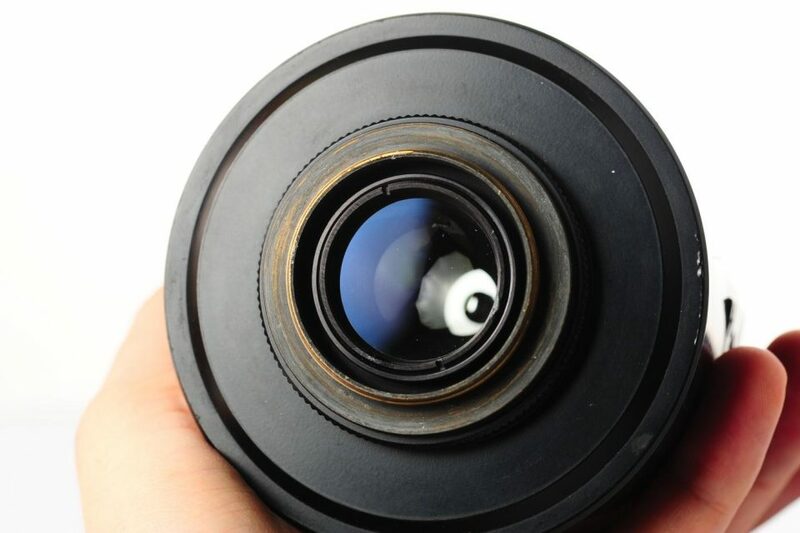 Important note: because the lens has a huge overrun at infinity, it can be put on any sort of camera. 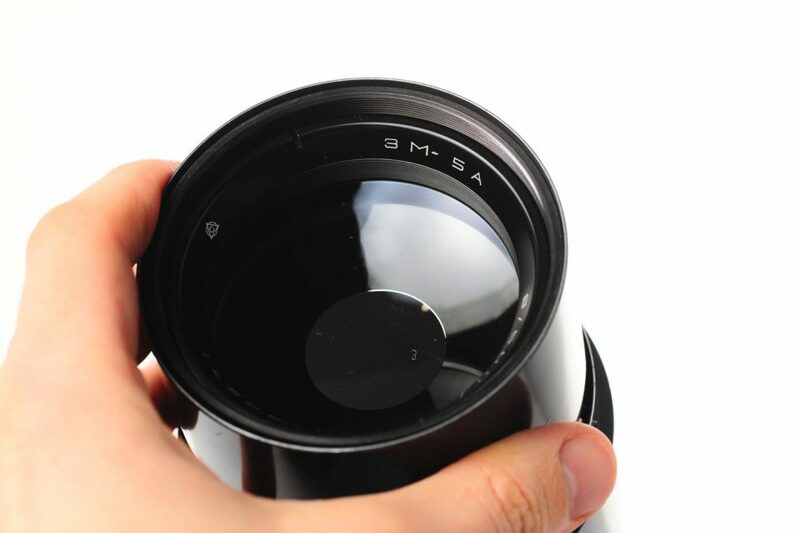 The main feature of the mirror-meniscus lens is that they give so-called “annular” bokeh, ie circle of confusion in the area will be a circle with a hole in the center. 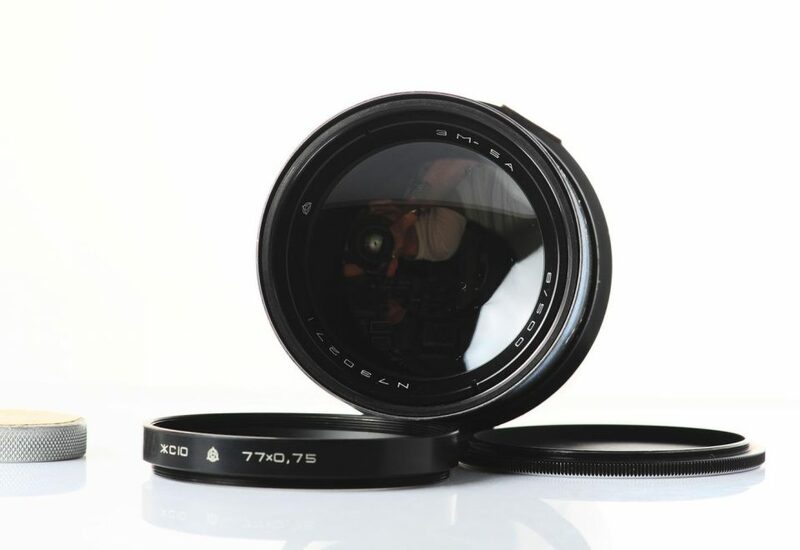 The lens s/n 730271 is in very good condition. 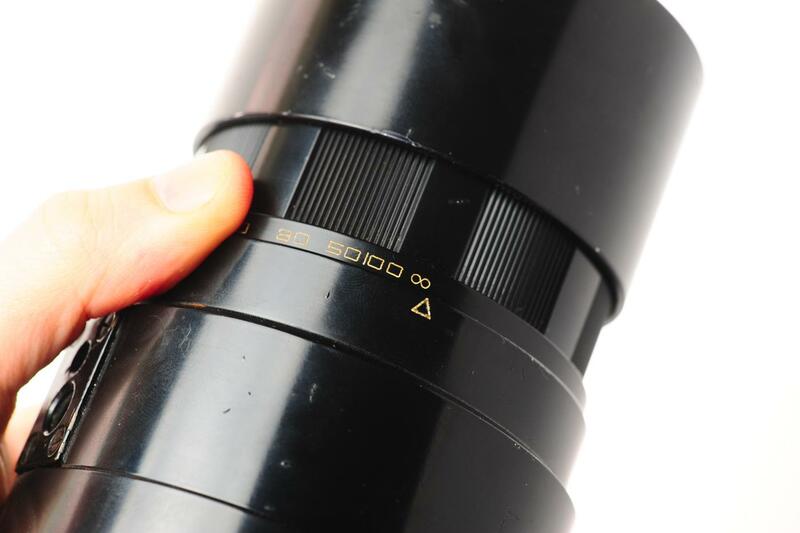 Has some signs of normal use/age on lens barrel. 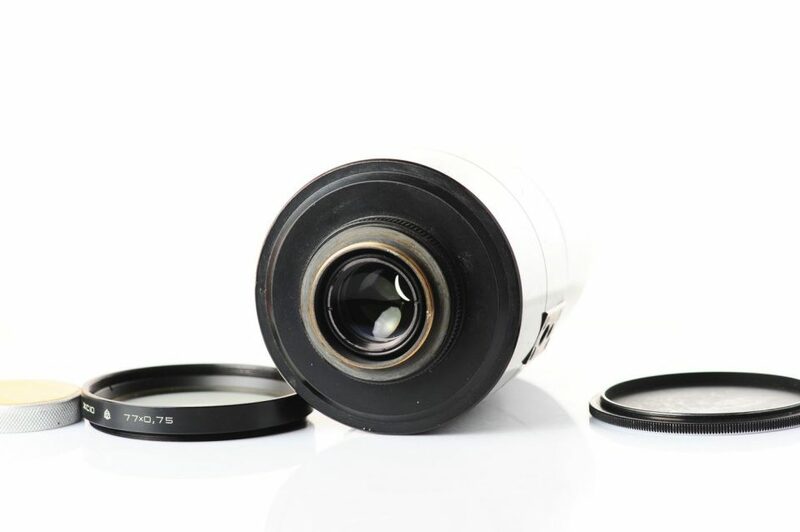 Glass is clean and clear: no haze, no fungus, no scratches! 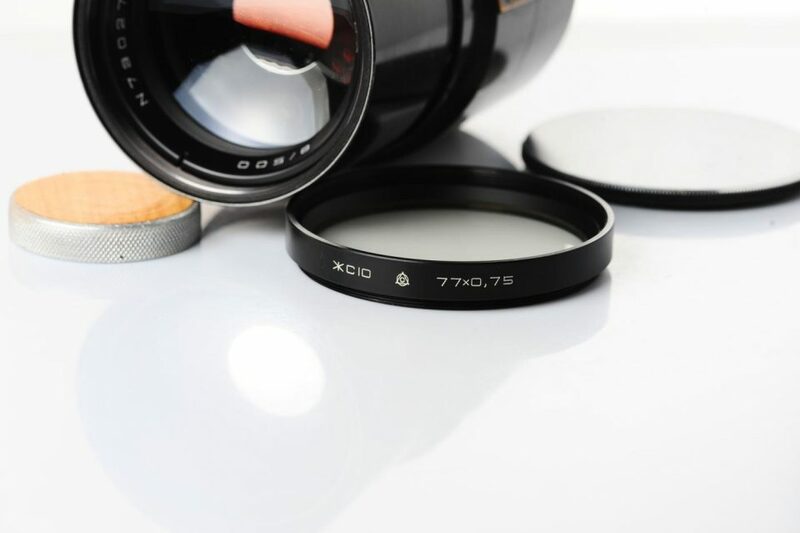 Few light wipe marks / few internal dust particles are possible, but will not affect image quality. Mechanics are excellent, focusing is smooth. 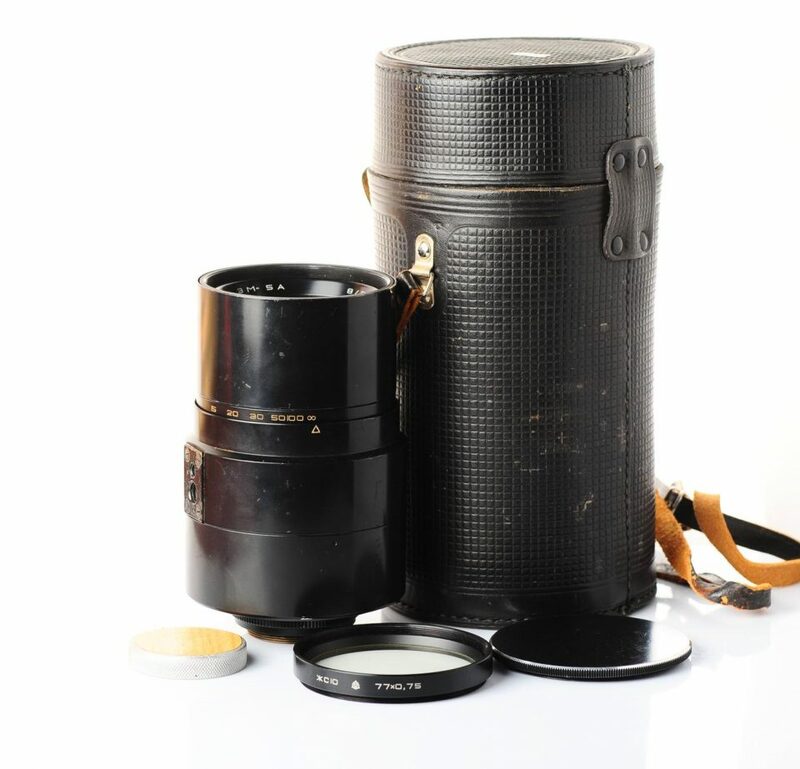 Comes with both front/back caps, in original case with UV filter.